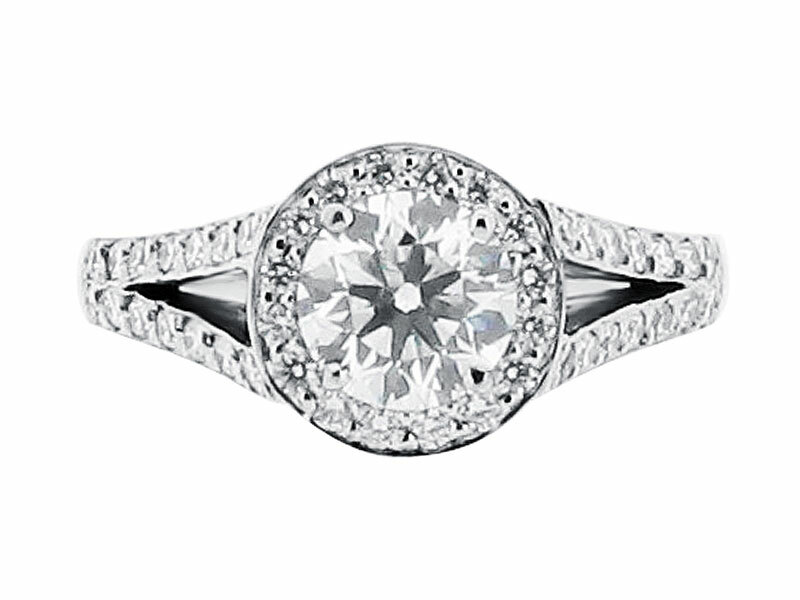 Featuring two bands becoming one, this engagement ring is simply striking. Showcasing a round brilliant cut diamond within a diamond set halo, this ring stands out with the addition of a split shoulder detail. This style can be made with coloured gemstones and can be crafted in 18ct yellow, white and platinum. 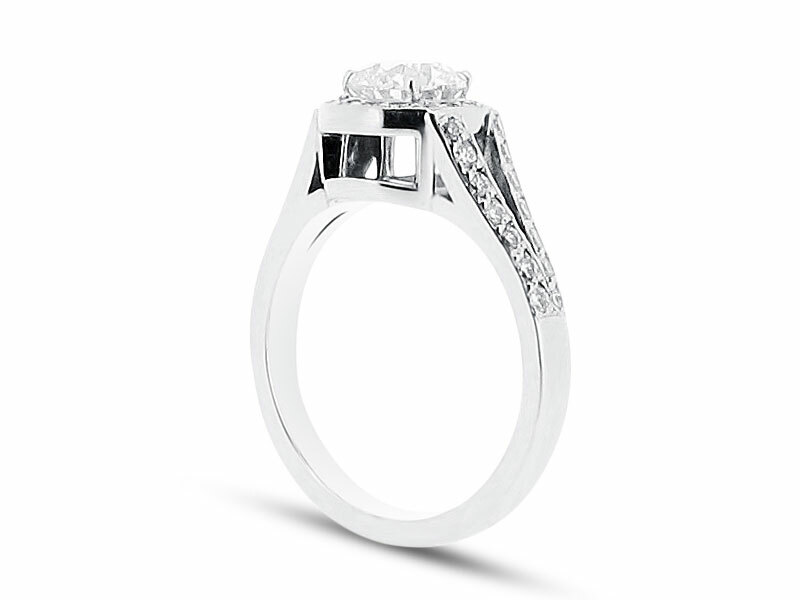 We specialise in finding the right diamond to suit all budgets and styles. 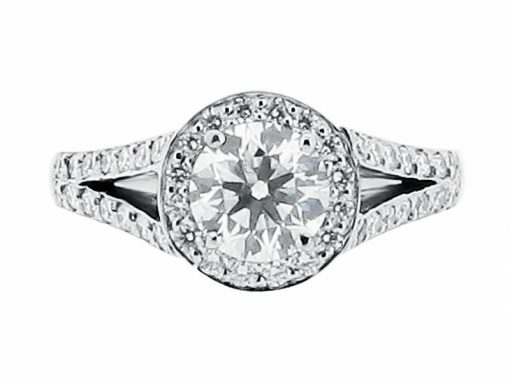 We have a large selection of engagement rings in stock and we would be delighted to work with you to create the perfect ring for you. Please contact us today to arrange an appointment to view our full range of diamond rings in our Dublin City Centre offices located just off from Grafton Street.